“Outcast” is filming in the SC area and looking to cast locals who would love to work as paid, background actors on the show. Robert Kirkman, the man behind “The Walking Dead” created the show and serves as executive producer. The supernatural themed Cinemax series series stars Patrick Fugit (“Gone Girl”) as Kyle Barnes, a man who has had some serious problems with demonic possession since he was just a child. Looking for answers and help, he meets a West Virginia evangelist, Reverend Anderson, who may be able to shed some light on what is going on. Reverend Anderson, is on a mission. He believes that evil forces are threatening the entire world and is on a holy war against those forces. The pair makes some discoveries that change their lives forever. 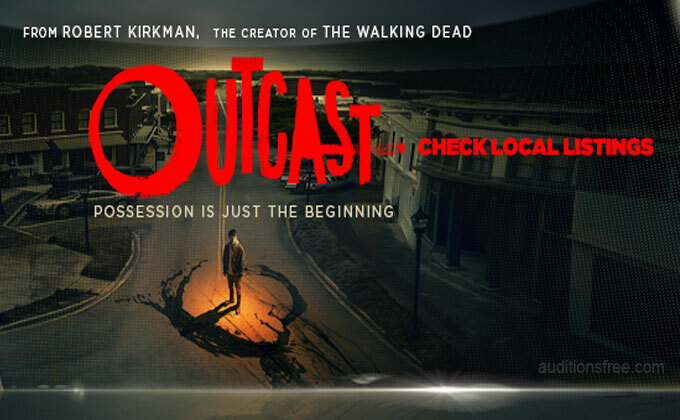 Also cast in “Outcast” are Gabriel Bateman, Erin Beute, Brent Spiner (Independence Day, Star Trek: The Next Generation) and Cameron Blackwelder. The show premiered on Cinemax on June 3, 2016 and seems to already be filming season 2. 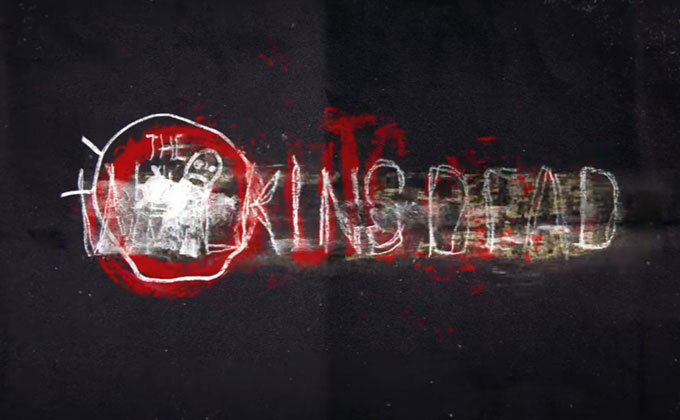 The show is one of a few similar themed television series. AMC’s Preacher is now airing which is also about a priest on a crusade against evil. Also, FOX has a TV remake of “The Exorcist” that just came out. “The Exorcist” is also currently in production and has been releasing casting calls for background talent. We will need MANY extras for 208 episode and even next week. First Up will be MONDAY 10/17- 208 Restaurant, Town & Bar needs..
30 Town -All Races -about 11 with vehicles that can be parked, 5 with vehicles that can be driven. Make sure your vehicle info is included in message. 6 Kids/early Teens (9-14 years or so) -3 NEED TO BE ABLE TO RIDE BIKES. This is a down and out type bar. HEADS UP BARN FOLKS-we may need some of you on Tuesday. Waiting to see how many will need Vehicles. 3 Need to be able to ride BIKES. 11 with vehicles that can be parked, 5 with vehicles that can be driven. Make sure your vehicle info is included in message. If we do not have your photo and information on file for this season…Please include a current photo, your name, age, phone, height/weight, clothing sizes, vehicle information -color/make/year/model and city/ state you reside. Reminder -Outcast films in Rock Hill, Chester, York and it’s surrounding areas. I am 20 yr. old male 6’7” – I’m told that I’m attractive and I’m a fast study. I’m available to travel within a 150 miles. I would appreciate an opportunity as an extra in this film. I am prefect for the 17 year old role. I want to be the next Clint Eastwood. You have to start somewhere right? I know I would be a great asset to the show “Outcast”! perfect for the kid roles! I am perfect for this.